Blueberries are prized for their nutritional value and grown from Florida to Canada in both home and commercial gardens. Horticulturalist Jeff Williamson of the University of Florida urges prevention as the best treatment for summer leaf spot diseases. The first line of disease defense is buying virus-free plants from a nursery that tests its stock regularly. As well, burn all infected plants immediately and control aphids in blueberry fields. 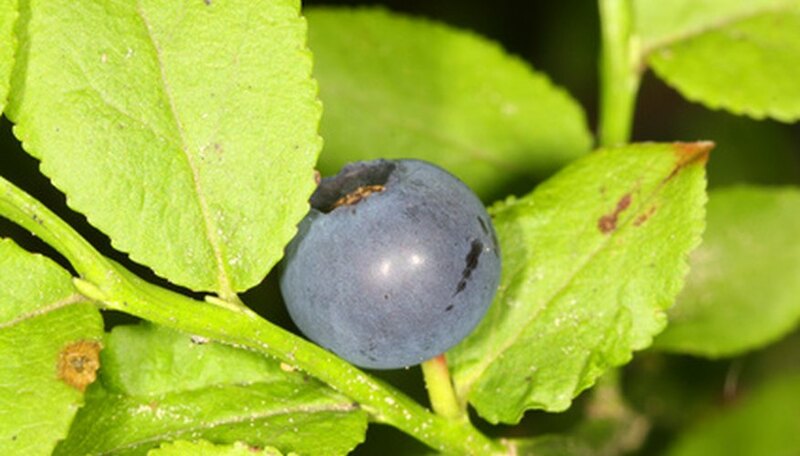 Pathogens responsible for blueberry diseases include fungi, viruses, bacteria and nematodes, according to agriculture specialists George Kuepper and Steve Diver of the National Sustainable Agriculture Information Service. They advise gardeners and growers to pick resistant cultivars and add organic matter to the soil to increase the amount of beneficial fungi, bacteria, amoebas, protozoa, nematodes, arthropods and earthworms. These nourish strong, healthy blueberry bushes better able to fight diseases. Prune bushes right after the blueberries are harvested and keep the patch clear of plant debris, which can harbor disease carriers. Remove the debris and burn, bury or haul it to a landfill. Prevent fungal infection by spraying with fungicide through the fall to prevent diseases like Septoria, powdery mildew, Gleosporium, Dothichiza and rust, advises Florida’s Dr. Williamson. This ensures healthy foliage well into fall, which produces food for the winter to fuel spring growth and strong plants that resist disease. Check with your local university's agricultural extension office for the fungicide best for your region. Check blueberries for viruses. Twisted or curved leaves streaked with red in mid-summer are the sign of the shoestring virus. Aphids spread the virus. Prevent infection by starting to ground-spray for aphids in mid-June. Repeat in two-week intervals. Identify the necrotic (tobacco) ringspot virus from the small brown dried circles on older leaves. Remove infected bushes, including roots. Then treat the soil with soil fumigants in the autumn. Work the soil for a year before replanting with healthy stock. A diagnostic tool (see Resources) from Cornell University has a step-by-step exercise to identify what disease your blueberries may have. Burn all infected bushes and plant debris to eliminate spores, viruses and other disease carriers from reinfecting your blueberry plants.